After three years of living in Hong Kong I am well aware of the increase in blood pressure this question may cause to many of my Hong Kong friends and colleagues, so rest assured I am well versed in the distinct and important differences between the two countries! The reason for the title refers to many a conversation had with wine producers and exporters hoping to enter the Hong Kong market and in the same breath grouping Hong Kong and China together, as if a one size fits all approach will suffice. Apart from the most obvious difference in taxes – Hong Kong abolished all tax on wine in 2008 while China continues to impose tax on imported wine (although Free Trade Agreements with various countries will see that change in the future) – the way in which the markets function are markedly different and understanding these differences is central to successfully placing a brand in either or both markets. Earlier this month I sat down with Founder and Director of BEE Drinks Global, Francesca Martin, to discuss key differences between the two markets and how this influences her approach when with working with clients to position their brands in Hong Kong. Growing up in the U.K. and surrounded by good food and wine with her mother having worked as a chef and her father collecting wines for many years, Francesca’s first memory of wine was a trip, as a 12 year old, with her father. The location? Lunch in Paris at La Coupole. Here, an “appropriately watered down glass” of Bordeaux was offered and the first interest in wine developed. It was the persistence of this memory that eventuated in roles years later with the Lurton family in Mendoza, Argentina and the Torres family in Spain before a position at Liberty Wines in London. 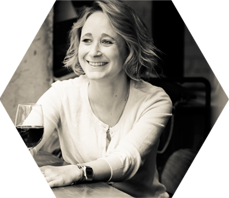 After four years at Liberty wanderlust set in again and, leaving her role as Brand Manager with Liberty, Francesca relocated to Hong Kong working for ASC Fine Wines before starting her own consulting company BEE Drinks Global in 2013. When I asked Francesca what led to success in the Hong Kong market she was quick to respond as to the importance of finding the right partner. Viewing distribution as a partnership is fundamental to success, where “the more closely you can work with your importer and support your importer, the more they are likely to support you when things change in the market … if you are in a solid partnership you are able to work successfully in selling your wines”. Hong Kong is “very saturated in many ways, particularly in the on-trade but there are importers who do specialise, so you have to look at your range, your pricing and do your due diligence”. It is this last point that is key. The importance of talking to people on the ground, who are able to give independent advice is indispensable. Looking at the differences between the Hong Kong and Chinese markets, Francesca describes Hong Kong as the more established market of the two, “I wouldn’t call it a mature market as such because I still think there is a long way to go in terms of wine knowledge, particularly within certain parts of the on-trade – there is still a lot of education to be done”. She goes on to highlight the market structure in Hong Kong, “it’s such an easy market to enter on paper but then in reality, a difficult market to establish yourself”. This is due, in part, to the blurring of boundaries, because importers may also work as wholesalers and retailers, while also choosing to maintain an online presence in addition to these different roles within the industry. The example Francesca gives starts with getting wines onto an importers list, “and that importer gets your wine onto a restaurant list and that wine just sits there on the list, gathering dust because there is a breakdown in the process of being able to actually pass that wine on to a consumer”. In addition to identifying the right partner and managing the various roles importers may play, the complexities of social interaction in Hong Kong must also be negotiated. In a culture where assertive selling techniques are at odds with social etiquette for interacting with those who are older or where specific advice is not directly requested, staff training must instil the confidence to offer alternatives or up-sell wine to consumers or restaurant guests. This is central to the success of getting a broader range of wines on offer in restaurants and, using the example above, getting your wine passed on to the consumer. By contrast, the market in China is more complex in structure. Not only do the taxes make it less straight forward to gain access to the market, the sheer number of different players in the market adds to the challenges of establishing a brand. Given the size of China, Francesca warns against generalisations but does highlight a couple of key trends which also speak to the way in which the two markets differ. “With the China market”, she says, “the online revolution has picked up there much more than in Hong Kong”. She see a link between the success of online retailing and Tier 2 and 3 cities where “historically those cities haven’t had the wine shops and the distributors, so the easiest route to market for those particular cities has been online and of course, China is very technologically advanced”. The role technology plays in the Chinese market can not be underestimated. WeChat is a key marketing and sales tool compared with Hong Kong where WhatsApp is used but not nearly to the same extent for marketing and very rarely for sales offers. Interestingly WhatsApp is used by the trade in Hong Kong to place orders, often in place of sending an email. The popularity of using online platforms for sales offers in China represents a very different model to the traditional model used in Hong Kong. Looking more closely at consumers in Hong Kong Francesca points to the increase in consumer education during her time in the industry there. She sights a slow but definite more away from traditional wine styles, “Bordeaux will always have its place here but people are becoming more experimental. There is a big demand for education and the growing influx of new wine bars such as LQV and My House facilitate that desire to try new wines”. She does however note that it is important to remember the role of Expats (who account for a very small proportion of the potential wine market) in bringing these new ventures to Hong Kong. The key thing she says is “to tap into the non-wine drinkers because there is a high portion of local Chinese who don’t actually drink wine”. That would start in the trade with importers, sommeliers and trade initiatives such as the WineSPIT seminars and conference led by Debra Meiburg MW. These things are important for raising the overall standard of knowledge within the industry and attracting new consumers to wine. To be successful in the Hong Kong wine market, it is simply not enough to find an importer and get your wine to the port. As an exporter, significant research must be done as to how the market works and the positioning of a specific product. In the saturated market of Hong Kong, a point of difference must be identified and form an integral part of the strategy for the product being placed in this particular market. While it is not always within the budget to undertake multiple trips abroad there are a few specialised consultants, such as BEE Drinks Global, who can assist. Seeking out those who are on the ground will yield more useful information that simply contacting every importer who can be found online – with a no-tax policy anyone can, and does import wine into Hong Kong. The key thing for an exporter is to find that one partner who will do more than just take delivery of your shipment. Fascinating! Thanks for the great article.